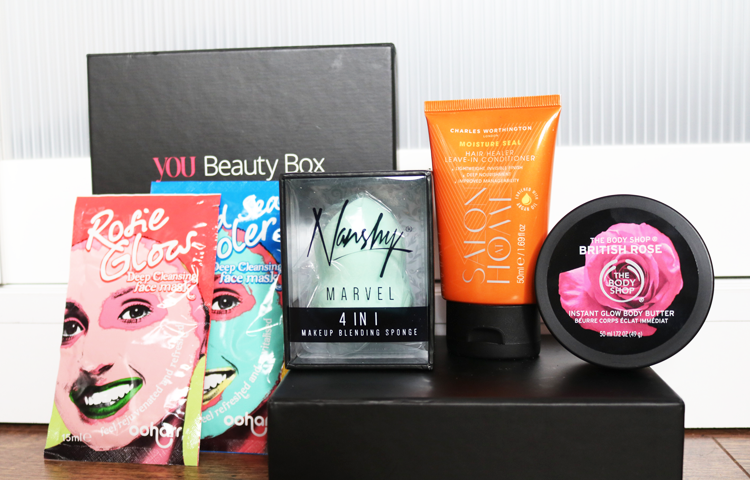 My You Beauty Box arrived yesterday and it looks like another winner in my humble opinion! Want to take a closer look at what's inside? I've reviewed some Nanshy makeup brushes in the past (click here) and I still use them on a regular basis because the quality of them are fantastic. I didn't know that they did a Makeup Blending Sponge so I had to have it as I'm interested to see how it compares to the Beauty Blender and Real Techniques Miracle Complexion Sponge, both of which I love for applying liquid foundation. We shall see! 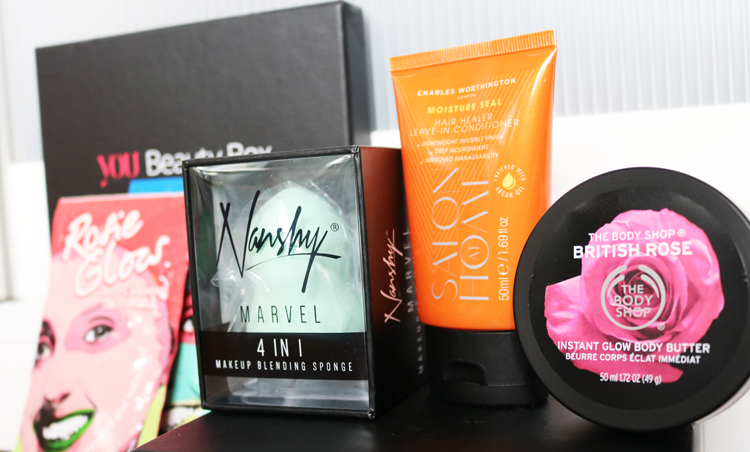 I haven't used a Body Shop Butter in a long time - I used to buy them all the time a couple of years back, but since getting into blogging, I've tried so many different brands that I just forgot about them to be honest. I liked the sound of this one from their new British Rose line because I adore anything rose-scented, and the roses used in this range are 100% organically grown at an eco-friendly farm in Herefordshire. I've had a quick sniff and it smells gorgeous so I'll be popping this into my travel bag asap. Charles Worthington Moisture Seal Hair Healer (generous 50ml travel size) and Ooharr Rosie Glow & Dead Sea Cooler Deep Cleansing Face Mask Duo (2 x 15ml sachets, RRP £1.20 each). I haven't heard of the Ooharr brand before, but I'm always up for trying out a new face mask so I look forward to giving these two a whirl.